Does anyone have experience with these? Supposedly you can have a semi-auto or a pump by a select switch. I seem to remember a horrendously expensive police-style shotgun I saw at a SHOT show several years ago. Don't remember the brand name (SPAS, maybe? ), but the spokesmodel demonstrating it was pretty striking! Never seen one in action. What, the spokesmodel or shotgun? That info is on a "need to know" basis- - - -highly classified! 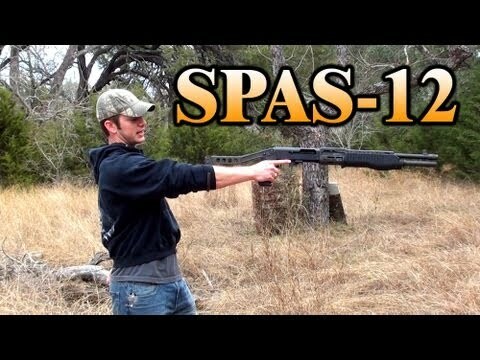 You are talking about a Franchi Sporting Purpose Automatic Shotgun also known as the SPAS 12. They quit production just before the ban lifted in 2004. I'm glad they shot that flower because it is a dangerous substance . bags of flower on us. One time the Army LTCOL [ senior ROTC Instructor] got taken out by one of the flower bombs. It was funny because he was not hurt, just had a uniform color change. Just saw them advertised in the latest American Hunter. Pre-ban production? Also saw a Keltec (?) twin barrel twin magazine semi-auto. Seemed like it was two short barrel semiauto shotguns engineered together. Benelli offer(s/ed) the M3, which is a much more streamlined, conventional-looking shotgun than the SPAS-12. I had a chance to handle one out of the box once, and it felt, to me, lighter than an 870 of comparable size, and the conversion control was much easier to figure out and to activate than the SPAS as well, and seemed to be a quality piece. The rationale for the design was to allow the same gun to fire standard loads semi-auto, and then with a quick action by the shooter be able to fully function as a pump repeater with lower-powered specialty ammo - bean bag, tear gas, etc. Ok, i dug out the issue. TriStar Tech 12 is the twin action. 3"
The other is a KSG Compact Shotgun. I think you are right. 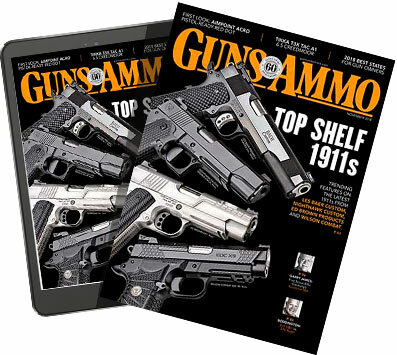 Two magazines. One action. One barrel. Kind of a bullpup design. The reason I asked is they may be more complicated, read "not idiot proof enough" than is good for me. well, I guess that would be easier than trying to regulate the barrels on a box-lock triple..